Don’t wait for your next flight review to get current—use this online video course to improve your skills today. 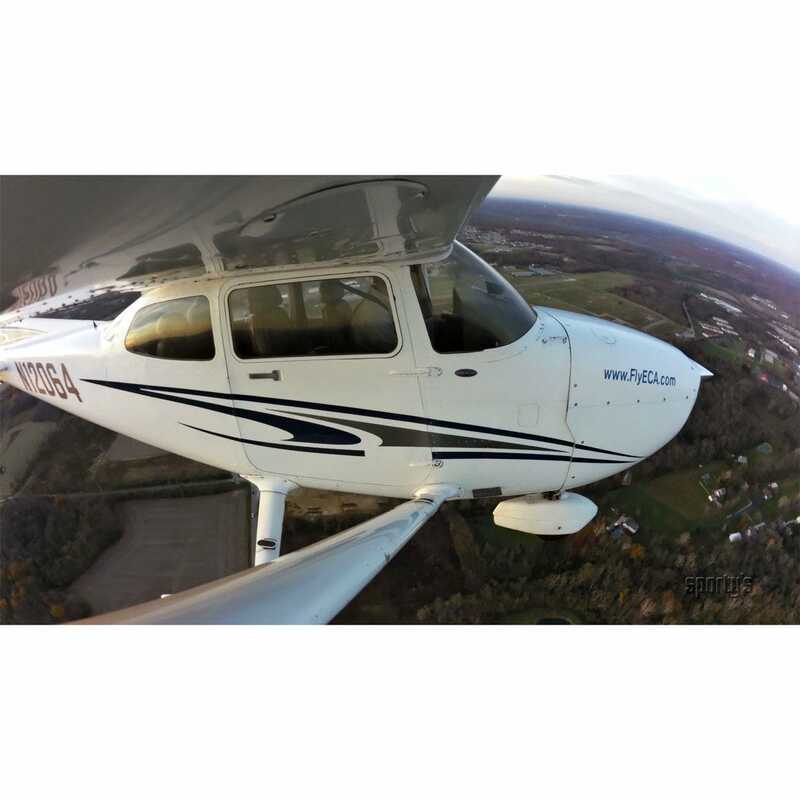 It covers everything you should know to impress your instructor and ace your next flight review. It also makes a great reference, easily reviewed in between flights. 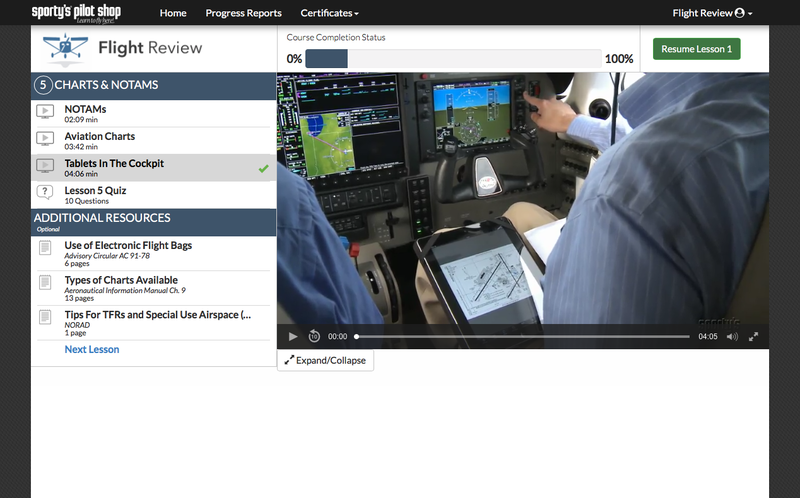 Flight Review includes 7 main subject areas and 49 individual video segments. Each subject also includes optional reading elements to further your knowledge on specialty topics. Based on Sporty’s award-winning Private Pilot Flight Training Course, the Flight Review online course contains over 2 hours of engaging 3D animations and in-flight video. After watching the videos you can then take a review quiz based on content from the videos. After finishing the questions you’ll receive instant feedback on your score and be able to review missed questions. 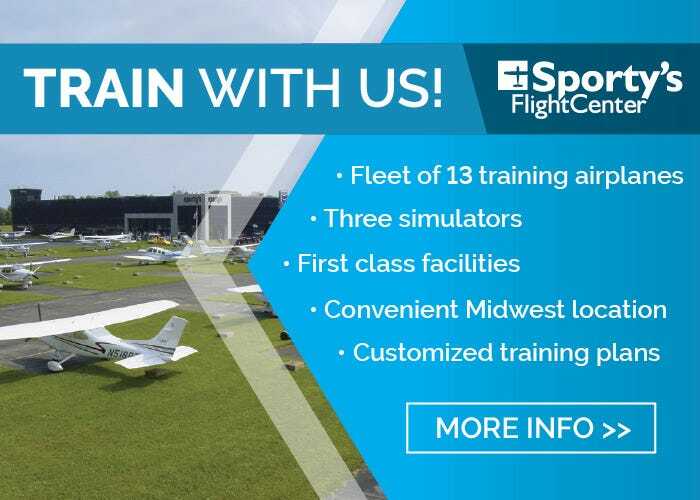 After completing the video training and receiving a minimum score of 80% on the included quiz, you will be eligible to receive an endorsement from Sporty's Academy stating that you have completed the required one hour of ground training for the Flight Review. 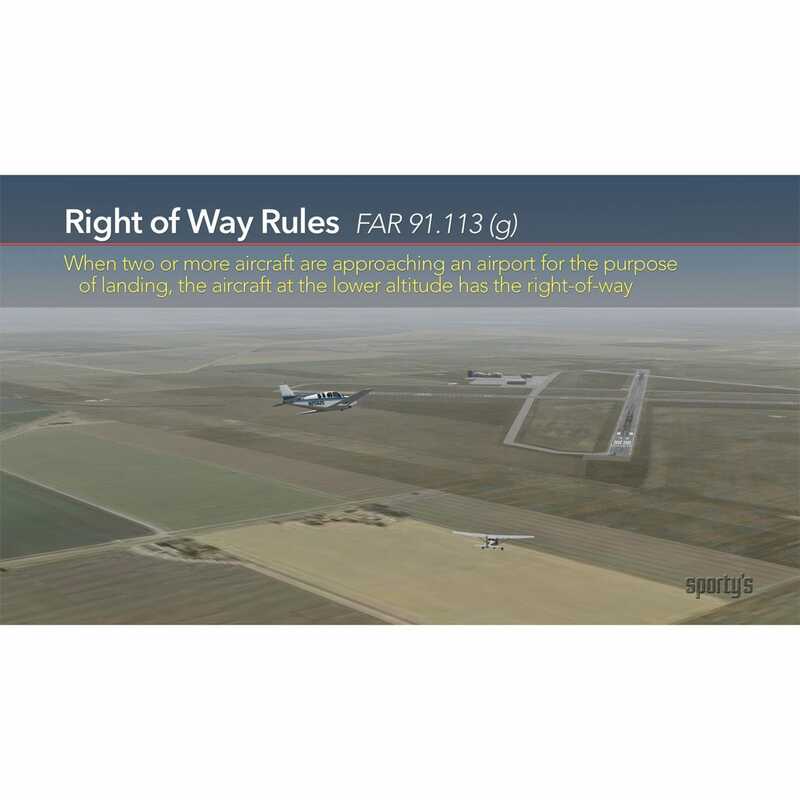 To satisfy the complete Flight Review requirements, an additional one hour of flight training (minimum) is required. 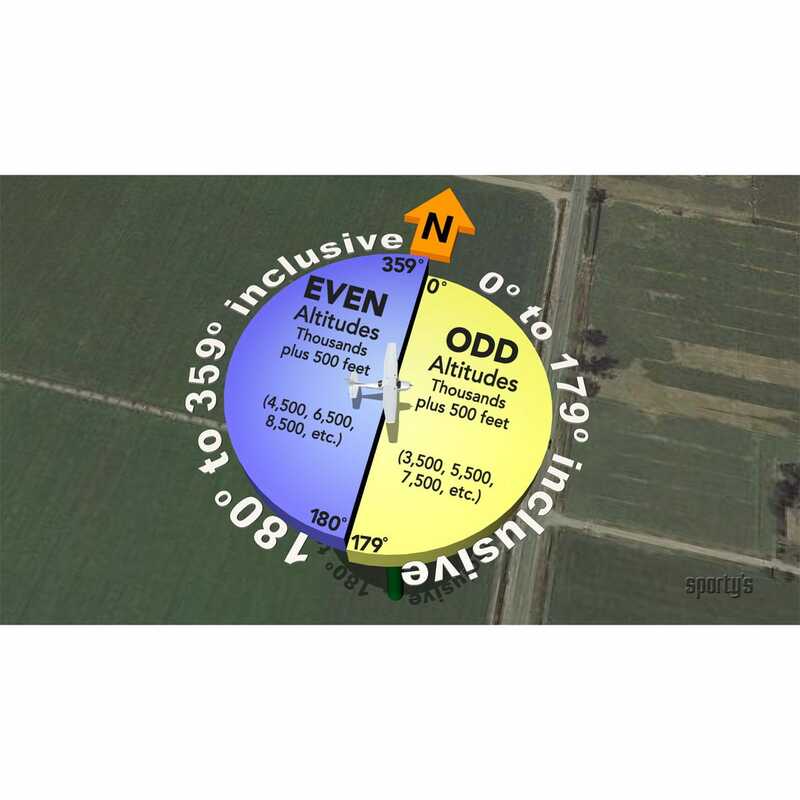 NOTE: Acceptance of the Sporty's endorsement toward your Flight Review is at the discretion of the flight instructor conducting the flight training. Sporty's recommends consulting your flight instructor in advance to verify acceptance of this training toward your Flight Review. 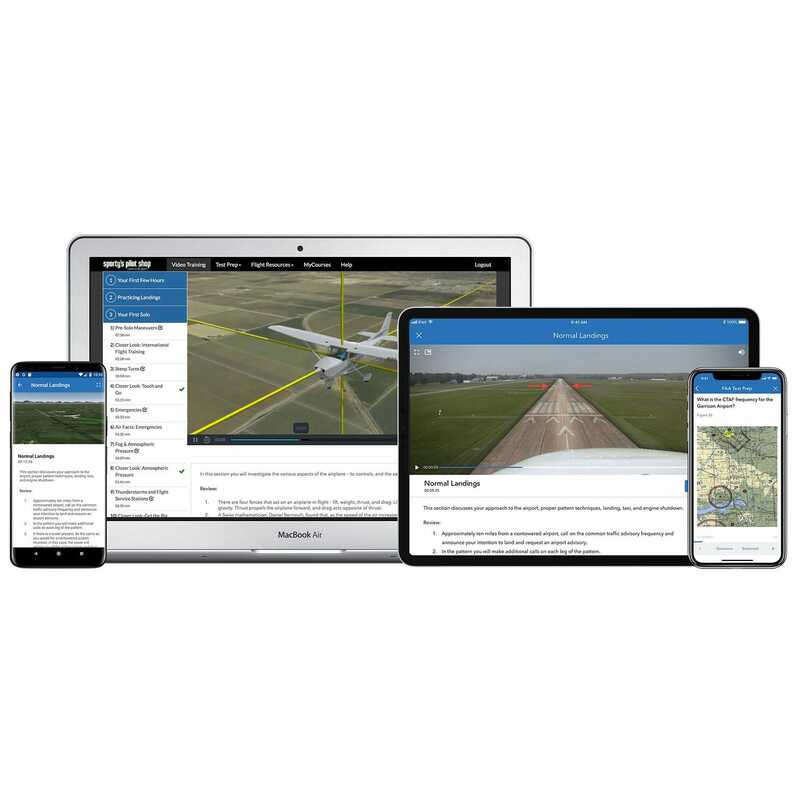 Your purchase of Flight Review provides unlimited access to the course for 2 years and includes one Ground Training Endorsement certificate. Updated with a new course interface that is designed to provide a great training experience on all screen sizes, including desktop, iPad, iPhone and Android. 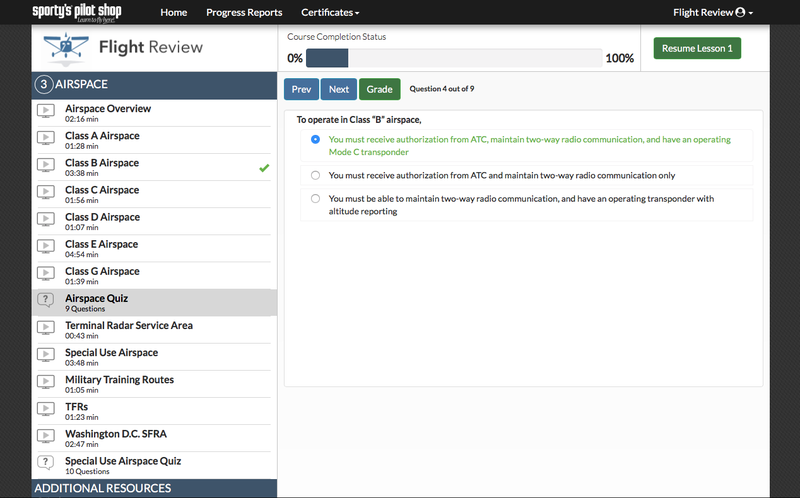 The new Progress Reports section provides access to past Review Quiz results, and you'll find a new "Resume Lesson" function that allows you to jump right to the next training section in the course. 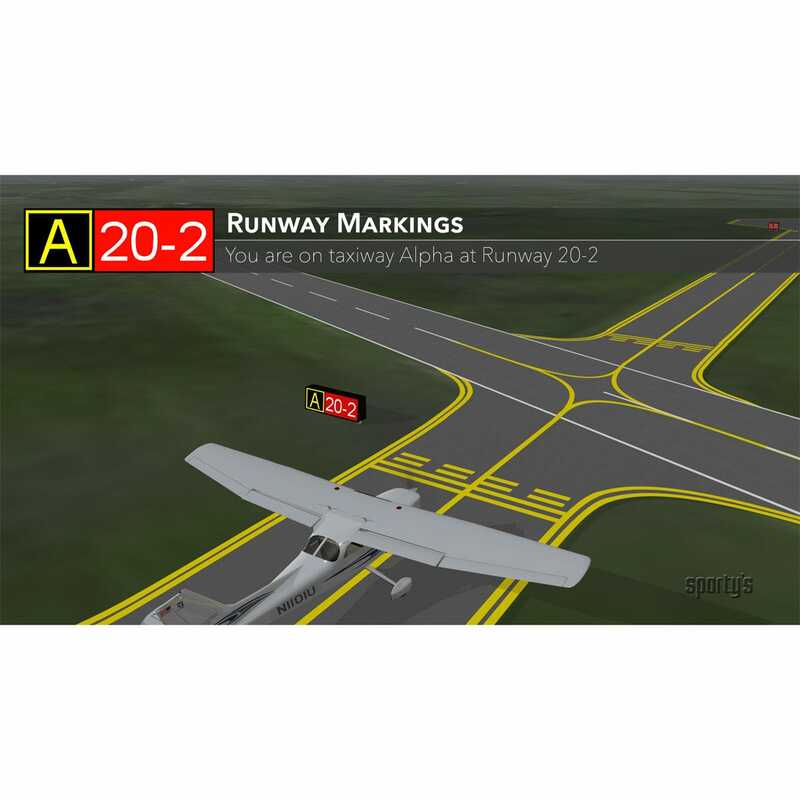 Brand new release of the Flight Review course in full HD. 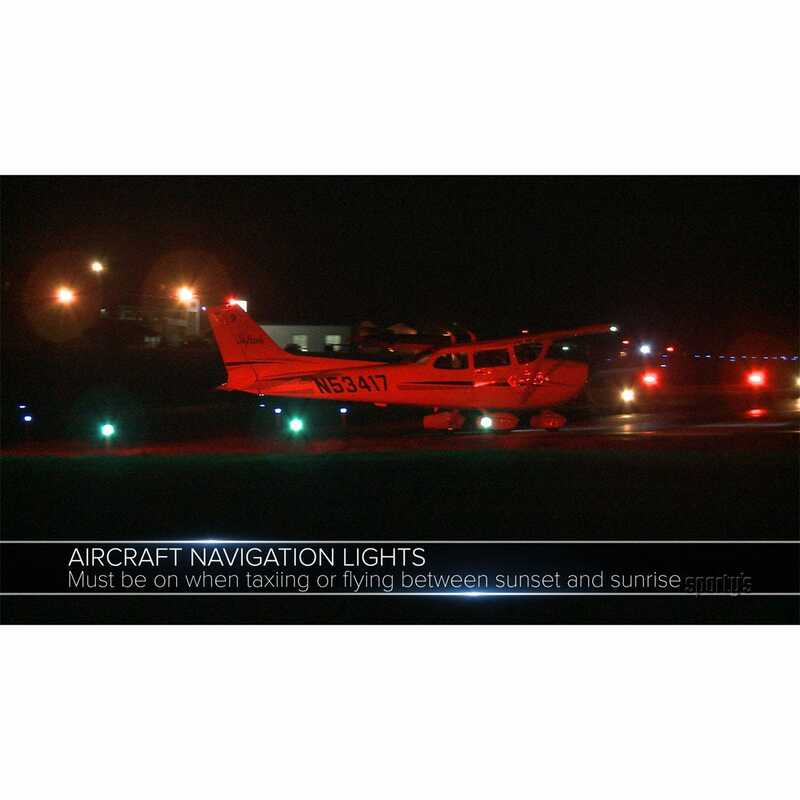 Includes the new "Guide to an Effective Flight Review" from the FAA, and new quiz questions covering the latest in technology and procedures. 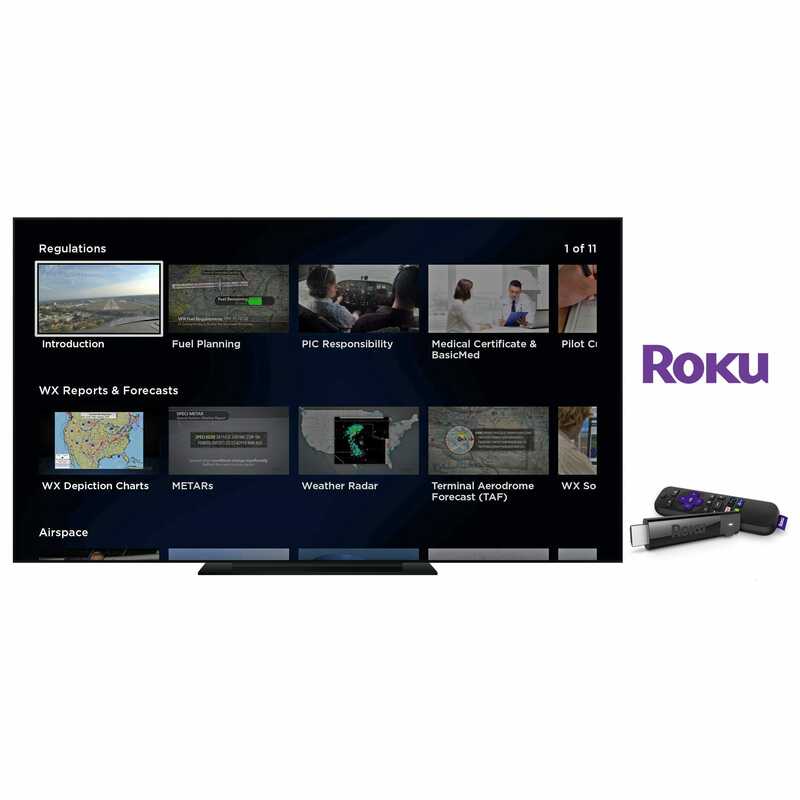 New dynamic streaming videos, providing a better HD video playback experience regardless of your connection speed. The Flight Review Course is awesome, was a great refresher for me to get back up to speed. I really enjoyed watching the videos, they made the course interesting. Easy enough to follow, and a good review. It’s been a while since I’ve practiced due to having to replace my engine, and do the annual. Slowly but surely, I’m getting back in the air. Flight review course great for ground work! I thought it was pretty thorough and my CFI accepts it for the ground work! I would recommend it in preparation for your flight review! 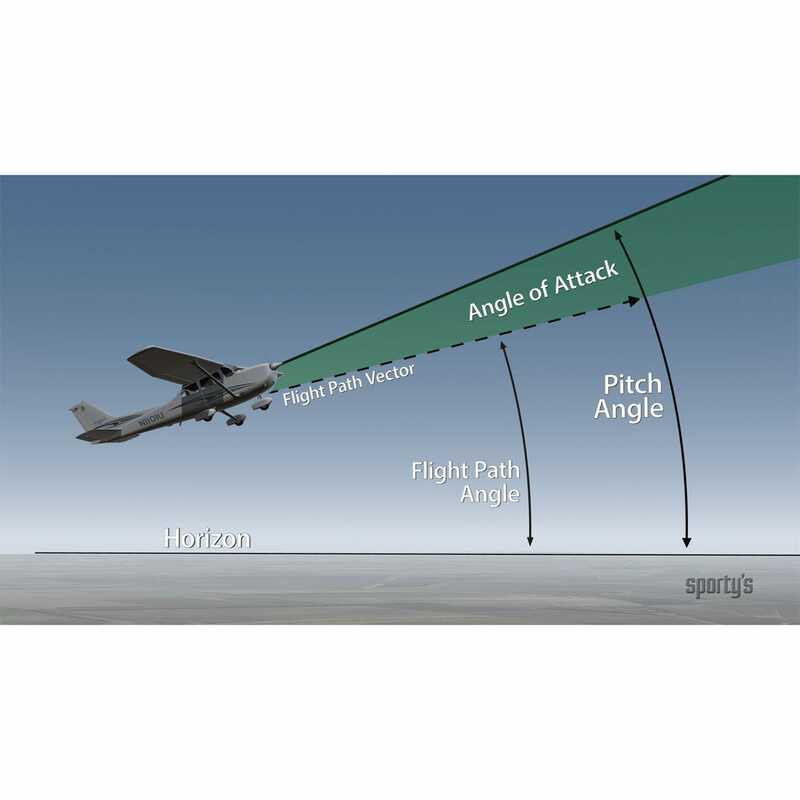 The review course is an excellent refresher on the basics, particularly on subjects that many of us don't have to address regularly such as airspace. I personally find it very worthwhile. Excellent presentation of everything I need to pass my Flight Review! Professional, concise, and I enjoyed being able to stop and replay any items missed! Thank you!!! 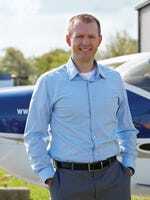 As a European based pilot coming to the USA and looking to add an FAA licence I found this interesting and useful. I was however surprised how little there was regarding Joins and other flying 'procedures' or standards. Some things differ and covering these would have added value. Having said that the course is informative, well prepared and professional. I enjoyed reminding myself of some things and learning of others. It was time well spent! Was recommended by my CFI as part of prep for my BFR. Been flying since 1996 but found the review very helpful and learned some things I did not know before. Liked the quiz at end of each section as that is part of the learning experience. The course was very helpful filling in some open gaps in my knowledge after being away from flying for 32 years. This course combined with Rusty Pilots helped me get up to speed quickly. excellent. my BFR went smoother having the certificate. registered with my FAA Wings. Why is there limited access to the videos? I thought I had unlimited access to them. Had I known it was limited I would have looked for another source. BEST ANSWER: We have some software in place to prevent sharing the course access among multiple users, but there is no expiration. If you need access reset, email us (support@sportys.com) and we can do that immediately. How long does it take to show in "My Courses" after purchase? I got the email that you received the order and to log into mycourses to access the course but it's not in there yet. BEST ANSWER: Please contact support at 513.735.9000. It should be almost immediately. So I purchased this flight review in 2016. My flight instructor accepted it for the ground training portion of the BFR back then. I just went through the whole course for my 2018 BFR due in June. Now I can't see how to print a new certificate. Did I just waste hours of watching videos and answering questions? Do I have to buy a new course? BEST ANSWER: You will need to purchase the course again to obtain a current certificate of training. Do I understand correctly that this course is eligible only for one WINGS credit in Basic Knowledge Topic 3 and not for all the three areas required for the BFR? BEST ANSWER: I have used this course and the certificate it generates for the entire portion of the ground for a flight review. That's not to say the CFII didn't ask ground questions while we were in the air. It did cover the ground portion though. I don’t know about the Wings credit, I only use the course to satisfy the “Ground Portion “ of the Flight Review. The CFII I use for the review happily accepts the course and we chat for a few minutes and then go fly. Does this work with android now (or only as online)? Below is from the description. BEST ANSWER: For the Android OS, it has to be viewed as an online course. Is this good for Sport Pilots? 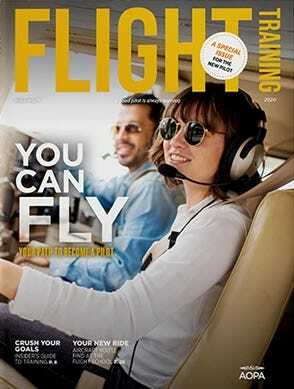 BEST ANSWER: Yes, it is a good review for all certificated pilots. It sounds like maybe there is a limit to how many times each video can be viewed? Seems like we would need to know more about that so we don't "waste" any viewing. Thanks! BEST ANSWER: There is no limit to the number of times you can watch the videos. However, you may receive a message stating you have watched the max videos. If it appears all you would need to do is to call customer service and we can reset the videos for you. 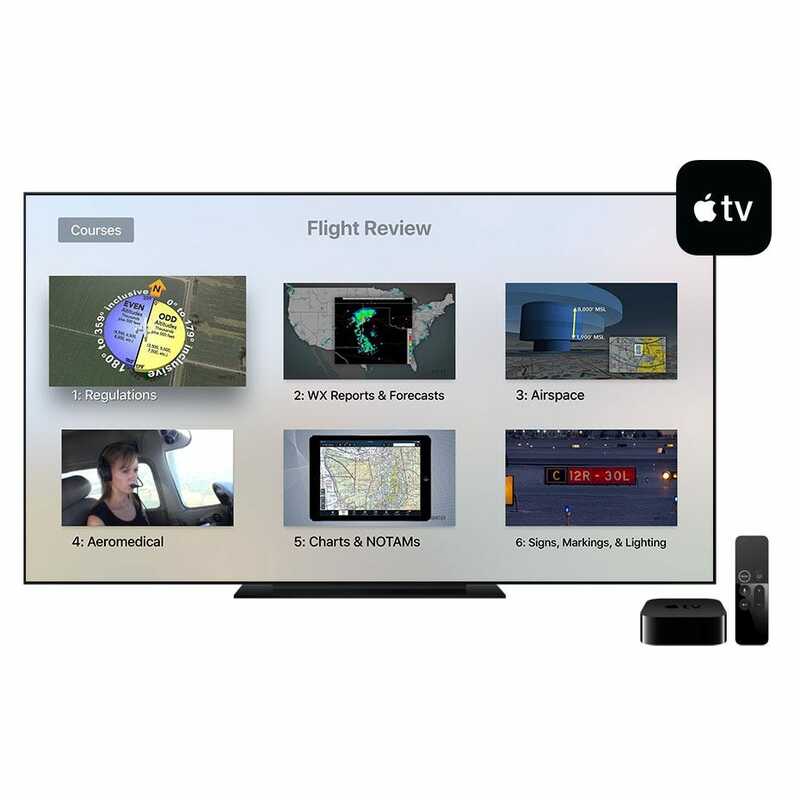 How can I transfer the flight review video course I purchased from my laptop to my new iPad? BEST ANSWER: To view the course on the iPad use the web browser. Then log into www.sportys.com/mycourses. What topics are included in this online course? BEST ANSWER: Below are the list of topics. 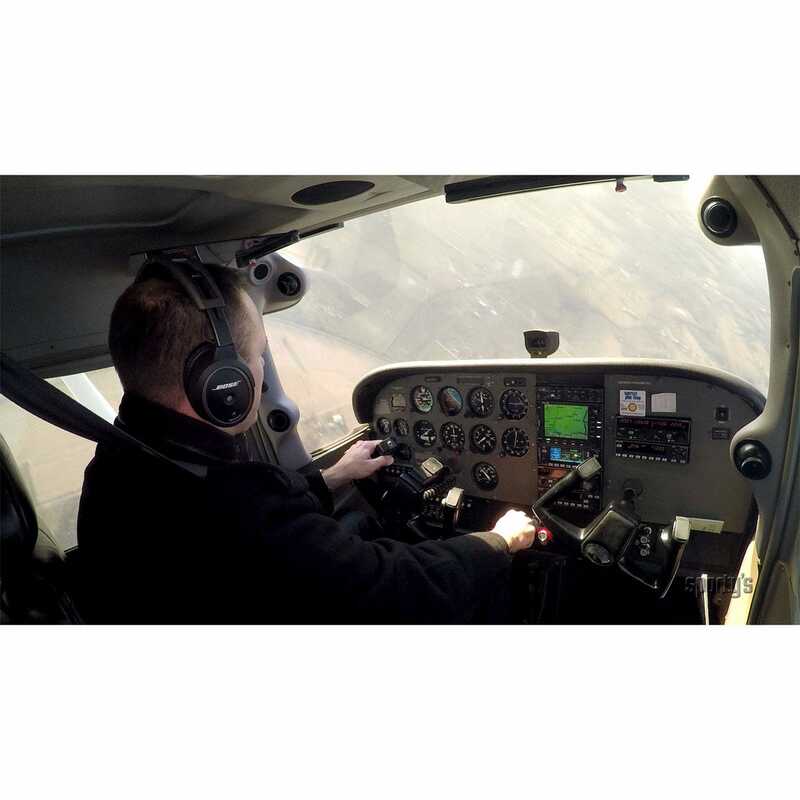 This course is for a pilot to complete the required bi-annual flight review. It will not help you with the to become a commercial pilot. what are the parameters that trigger a reset, and is the immediate reset response 24/7? BEST ANSWER: The reset is a set value on the number of times the videos have been viewed. The reset can only be accomplished during customer service hours. 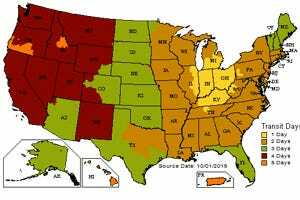 M - F 9:30 am to 6:00 pm eastern. Will this work on Android devices? It appears that it will work on Chrome, so I assume it will. Is that correct? BEST ANSWER: This course is an online course so it is accessible to any device via a web browser and internet connection. Can you purchase in a CD or thumb drive configuration? BEST ANSWER: This course is only available in the online format. I bought the online Flight Review course in 2015. Is there an 'upgrade' option to get access to the latest release or am I expected to purchase a complete new version? BEST ANSWER: You will always be able to go back and review the material. Sure, that is understood. But what about the material added in the latest release that wasn't in the 2015 version? The new material is included. Are there questions that would conflict with what a Canadian Flight Review would entail? BEST ANSWER: I am not at all familiar with the Canadian Flight Review, so I cannot answer this question. I found the course very thorough and very well-presented but I can't say how it fits in Canada. Can you review the course away from wifi or must you have an internet connection? BEST ANSWER: To review the course you will needed to be connected to the internet. I have Sportys older version of this review. How does the new version differ? BEST ANSWER: We've made extensive HD video updates, updated quiz questions and added a reference document. How long will I have access to the online review program after the initial purchase? BEST ANSWER: There is no expiration. May I'll be able to watch this DVD thru Apple pc or Window? BEST ANSWER: This course runs in a web browser (Safari, Chrome, Internet Explorer), so it will work on Mac or Windows. I purchased this item two weeks ago. When will I receive something from you. If its online how do i access? BEST ANSWER: You should have received an email confirmation, but you can go to sportys.com/mycourses and log in with your username and password you used at checkout.